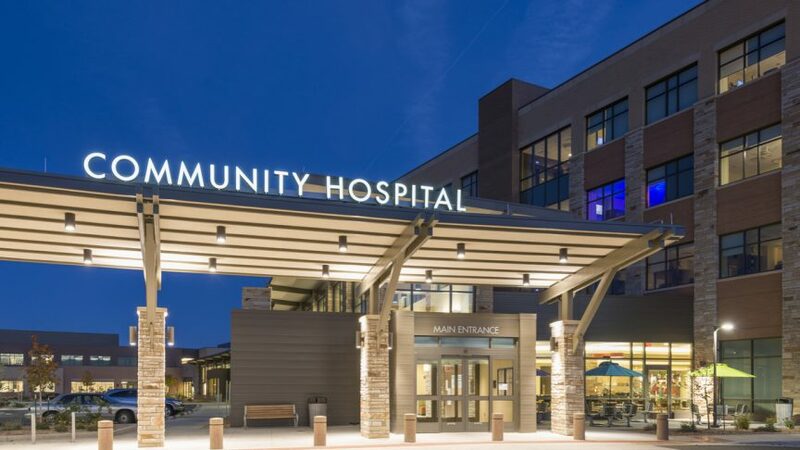 This 40-acre greenfield hospital campus was masterplanned by Boulder Associates and Gresham Smith and Partners for a 137,000 s.f. hospital and adjoining 88,000 s.f. skilled nursing facility. The hospital includes a four-OR surgery unit, emergency services, general practices, and the latest in oncology, women’s health and diagnostic services. Site planning for the campus was carefully considered to allow key patient areas of the hospital to best capture the dramatic views of the surrounding landscape. Its orientation also responds properly to solar orientation, enhancing energy efficiency. A striking curved spine was incorporated into the design to connect the hospital with the medical office building. The team looked to apply the concept of biophilia, which suggests an instinctive bond between human beings and other living systems, to the design of the hospital. To that end, they sought to ‘bring the outside in’ as much as possible. Flowing forms and spatial transitions in the gallery and dining areas parallel the confluence of the nearby Gunnison and Colorado rivers, with small waiting areas tucked along the side of the gallery similar to eddies in a stream. Large windows and a color and material palette mimicking the geology of the area connect users to the natural environment.